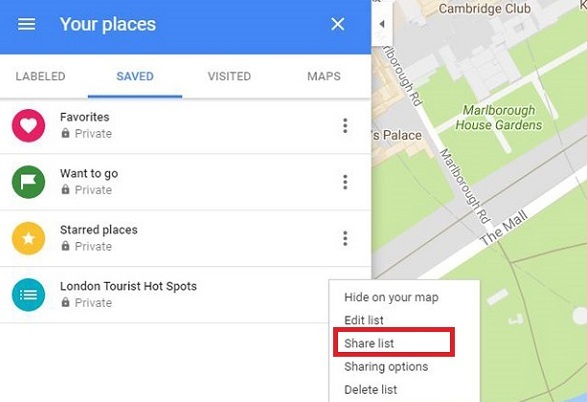 You can make a list of your favorite places or the places you want to visit in the Google Maps app on your device. Here is how to create, view, add places, edit, or delete a list of places on your Android or iOS device. Open the ‘Google Maps’ app. Tap the ‘Add [+]’ button at the bottom right side. Search for a place with the search bar. Or select the place from the map. Tap the ‘Place details’ given at the bottom. Select a list in which you want to add. Or, tap the ‘New list [+]’ button to add it into the new list. You can also type a note for the place after saving. Your lists are on your screen, tap on it to open. Select and tap a list to edit or delete it. Tap ‘Edit’ on the top. Tap on the name or description field you want to edit. Tap the ‘Remove (X)’ button of the place you want to remove from the list. Tap ‘Save’ on the top to save your changes. You can also type a note for the place after saving, here is how. Tap on ‘Add comment’ option. Type your note up to 400 characters. Tap ‘Save’ to add your note. Note: The other process to view, edit, or delete the list is almost the same as the Android.